This may look like cornbread, but it’s not. It’s corn casserole, and it’s soooo good. Everyone in my family calls it corn mush, but in this case “mush” is a very good and tasty thing! 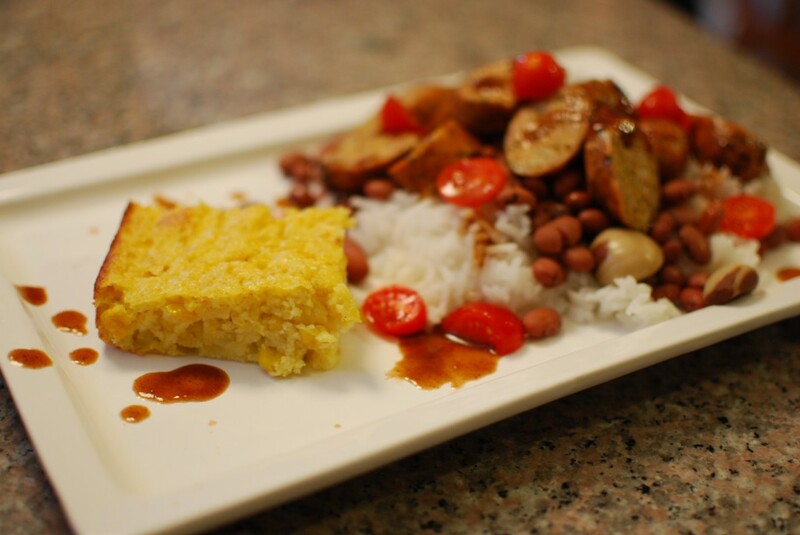 We had it with red beans and rice, but you could eat it with just about anything. Grease a 9×9 baking dish and pour batter into dish. Bake for 30 minutes or until brown.